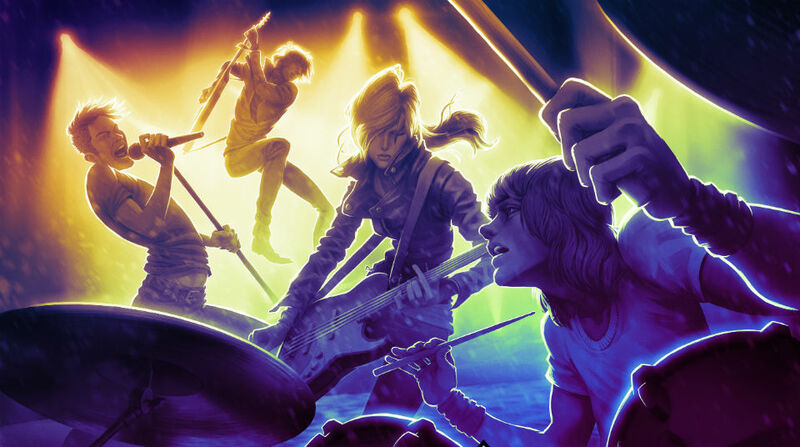 Rock Band is rising from the dead this fall, and as such we're starting to get finer details about different prices and packages for the forthcoming game. Unfortunately for Xbox One owners, the "disc-only" version of Rock Band 4 will cost $79.99, $20 more than the PlayStation 4 version. Harmonix confirmed that's because the Xbox version will come bundled with a legacy adapter that'll let buyers use their old instruments with the new game and hardware. PS4 owners won't need that -- the existing USB adapter that PlayStation owners have always used with Rock Band will continue to work just fine. If you're new to the series and buying one of the bundles that includes instruments as well as the game, though, the pricing will be identical: $249.99 will get you a mic, guitar, drum set, and the game regardless of which platform you're playing on. If you just want the game and a guitar, you'll be shelling out $129.99. Mad Catz also plans to sell the adapter standalone for people who purchase the game digitally. Rock Band 4 is set to launch on October 6th.